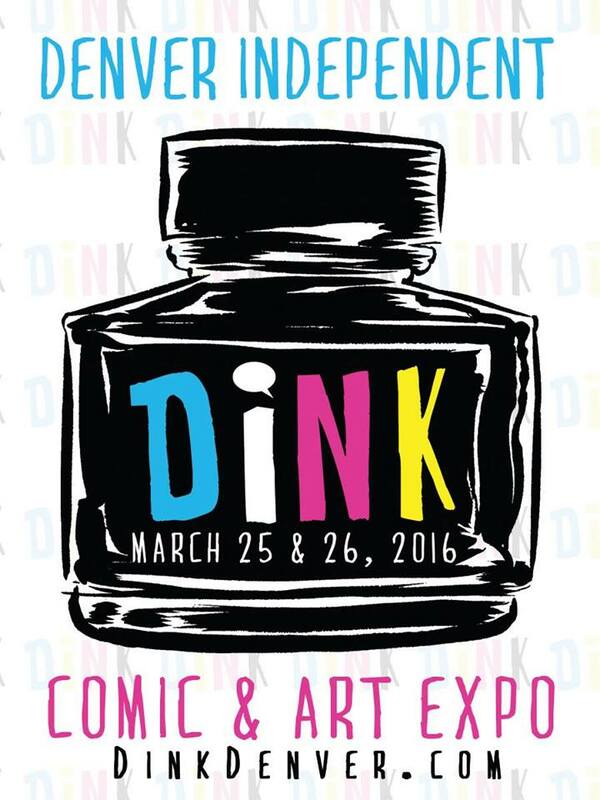 I am looking forward to my third year tabling at DiNK! The organizers are great, and the volunteers go above and beyond to help out vendors and attendees. There's a great focus on creator owned work, and unusual offerings abound. A few small issues with late communication and unanswered questions, but not more than any other small con I've attended. My sales are always just OK, but the connections made more than make up for it! Excited to exhibit for the upcoming third year after having a table for both the first and second! The crowd DiNK pulls is more enthusiastic about creators and the process than any I've experienced anywhere else (I've tabled for years at the full range of national comic cons). I've also never sold out of a product, and my main comic book title completely sold out last year (I printed 50 copies of a 28-page comic for the 2017 show ). I also love how there's no "tower of prints" or "tower of t-shirts" at DiNK - the show floor is just filled wall to wall with the highest caliber indie creators and publishers. It's definitely a show for tablers and attendees that like eye-contact and good conversations about the industry - saw a few otherwise talented folks sitting at their tables, staring at their own belly buttons and they didn't do much business, if any at all. So whatever your roll is - see you at DiNK 2018 and get ready to meet people! One of the things I enjoyed most about this show was how excited people were about meeting and connecting with new comics creators. DINK seems to appeal directly to people who are looking for something different, more personal, and more connected in their comics, and frankly, they bought a lot of stuff from me. It was great, the staff was very responsive, and I definitely got out of it what I put into it. I highly recommend DINK! Some of the best guest and quality of exihibitors. Easily my most profitable show, helps that I’m local though. A great venue for independent creators out in the middle of the country that isn’t on the coasts. Great fellow vendors! My sales were pretty great. I didn’t deal with any visibly drunk or high people. This show skews adult for sure though. Con sold tickets to a Cannabis + Comics tour both days, and the bar opened at 4:30 Fri and 3 Sat. So despite kids under 15 being free, it wasn't a kid friendly atmosphere and there were many attendees who were high or drunk or both. Put a real damper on sales (except for one vendor who was selling 3D posters). People seemed tapped out after paying for the tour or for a beer. Many vendors had very low sales. Weirdly lots of attendees said they didn't like comics, which raises the question why they were there in the first place. Some attendees were great but many were rude or actively hostile to the idea of spending money. Very uncomfortable to try to sell to visibly drunk and high people, many of whom had questionable boundaries and/or placed drinks and beer bottles down on tables on top of merchandise. Venue is beautiful but multi-floor layout led to many rooms and alcoves receiving low traffic. Short but late hours for the first year. Schedule released very late. Didn't get table assignments til the week of. First year kinks. Beautiful venue, great location, and many fantastic vendors but we won't be returning because sales were so bad--it was like we paid the con money in exchange for getting to babysit a ton of drunk and high people who didn't want to buy anything. If marijuana and alcohol feature less prominently in future years, we might consider returning.